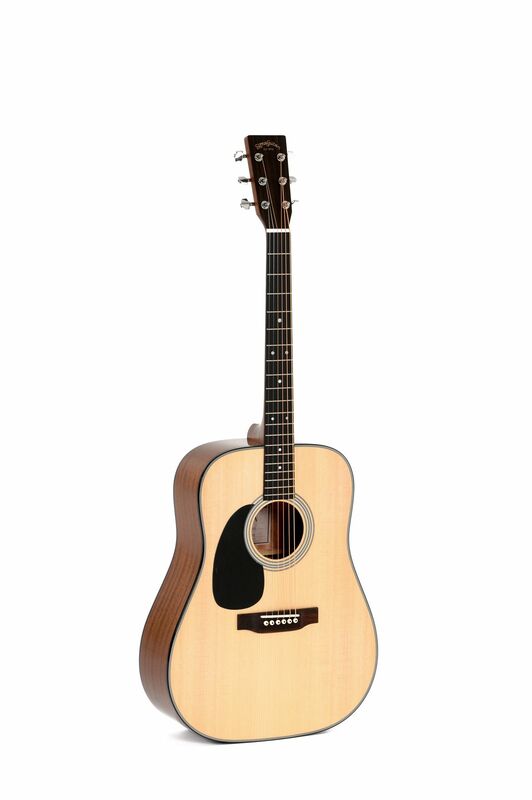 The Sigma DM-1ST-BK Dreadnought Acoustic Guitar features a solid sitka spruce top and mahogany back and sides. A bone nut and saddle adds to the quality components used. The Sigma Guitar range of acoustics are superbly built instruments delivering excellent tone and unbelievable value for money.